OpenScholar is described as a “full-featured open-source web site-creation package designed for the academic community. 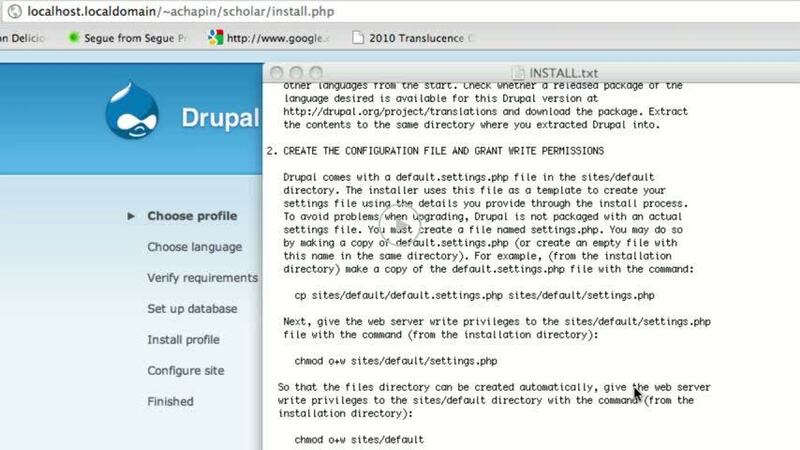 It was developed at Harvard using Drupal. A common usage of the platform seems to be for faculty profile sites, but can be used for any kind of personal site, as well as for project sites. It comes with a number of “pluggable content features” including those for blogs, booklets (collections of hierarchically organized pages), events, publications and…. classes. This does not mean that OpenScholar is a learning management system (LMS), but is can be used to distribute class material, such as a syllabus, reading assignments…etc.